Daniel Roebuck is an extremely versatile actor who has delivered memorable performances in some of the most iconic films and TV shows of all time, and he is a lifelong horror fanatic with a genuine passion for the genre. From long running series like Matlock and Lost to blockbusters including The Fugitive, Final Destination, and Rob Zombie‘s Halloween remake, he has seen it all. So when he says that Zombie’s upcoming 31, set on Halloween night, shocked even his seen-it-all sensibilities, it makes me think we are in for real treat. Roebuck talked to us quite extensively last summer, discussing his history with horror and his collaborations with Zombie, a director and fellow monster lover whom Daniel has worked with on six films, starting with The Devil’s Rejects and continuing through The Haunted World of El Superbeasto, The Lords of Salem, Zombie’s Halloween films, and now 31. 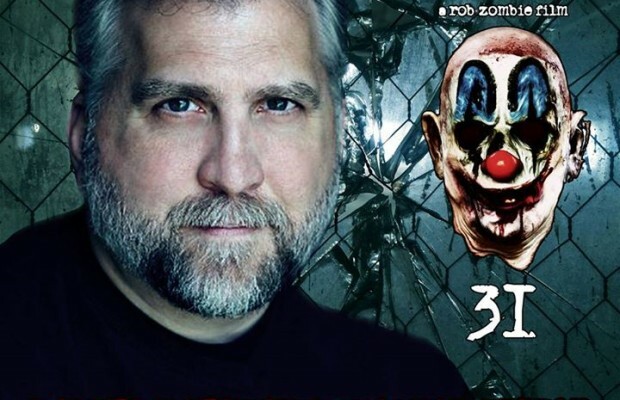 You can read our full interview next week, but for now, check out what Daniel Roebuck teased about Rob Zombie’s 31! Is there anything you can tell us about 31? “His cast is great. Jeff Phillips and Sheri, I mean there is no bigger fan of Sheri than me and her parents and maybe Rob. Jeff is great. Meg Foster is so great. Malcolm is great. They’re all great. Rob Zombie’s 31 had its world premiere screening in January at the 2016 Sundance Film Festival, with a release date expected later this year.